This blog post was written for the Waterloo Region District School Board (WRDSB) Parent Involvement Committee Blog and can also be accessed here. 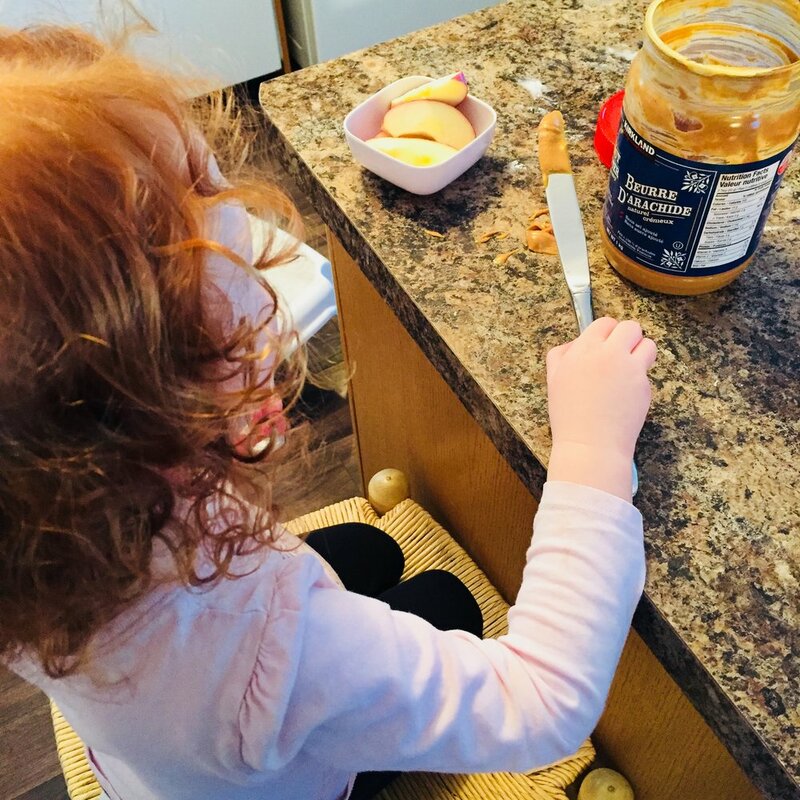 As a mom to two young kids and a dietitian who specializes in pediatrics, I understand the challenges and joys associated with teaching kids to cook. How important is it to teach our kids to cook? I’m of the opinion that it is one of the most important life skills that we can impart to them. I know, I know: I’m a dietitian, so I’m biased, right? I suppose, but when I read statistics like those from a recent Ipsos survey which reveals that 38% of parents rarely or never let their child prepare a meal or snack, I know there’s much work to be done! As parents, we concern ourselves regularly with sports schedules, music lessons, dance recitals and tutoring. These activities often cause families to grab supper in the drive-through instead of at the kitchen table. While extra-curricular activities are not bad (I’m a big supporter in fact! ), they can cause us to neglect our children’s food education, or as I like to say, “fooducation”. This doesn’t mean that our kids should quit hockey and spend evenings perfecting an authentic Italian marinara sauce. It simply means prioritizing uninterrupted use of your kitchen together and cooking most of your meals at home, whenever possible. The more natural, organic and simple the process, the better. In our house, this means letting my 3-year-old crack eggs at 7 a.m. for cottage cheese pancakes, asking my 5-year-old to measure and stir ingredients together for some frozen Greek yogurt bark, and my husband or I packing a family lunch to eat while driving to Toronto on the weekend so that we can enjoy healthy food together and save some cash at the drive-through. Surf the internet or dust off your cookbooks and look at pictures of recipes together. If your kids are part of the plan, they are more likely to eat what is being prepared. This is a great time to introduce a tool like the Harvard Healthy Eating Plate to teach kids about how to plan a healthy meal. Older children can be responsible for starting or cooking the entirety of one meal each week. The kitchen is an ideal place to build on lessons learned in school (including those dreaded fractions)! Why not ask your public school-age student to measure and pour and figure out how to double a recipe? Or ask your older student why oil and vinegar don’t mix or why apples brown after you cut them? Fun goes a long way to get buy-in with kids so make it entertaining. Try a theme night (e.g. Mexican or French cuisine) or have your child invite one or two other friends over and hold your own “Canada’s next great baker” competition. Simply turning on some music while you’re cooking can do the trick! If you want your kids to learn how to cook, they need to see you doing it. Period. Show them that you’re excited to taste new foods and describe the flavor. Why not start “Try it Tuesday” where the whole family tries a new fruit or vegetable together? Both parents should be demonstrating their abilities the kitchen and encouraging participation in the meal preparation process. This is admittedly very hard for me. It’s always more efficient and less messy to cook by yourself. Try to let your guard down and embrace mess! If you really don’t want to have to wash the floor afterwards, buy a cheap tarp for the floor. To keep stains off clothing, you can buy some pretty cheap aprons for kids online or if you're handy with a sewing machine, you can get creative! 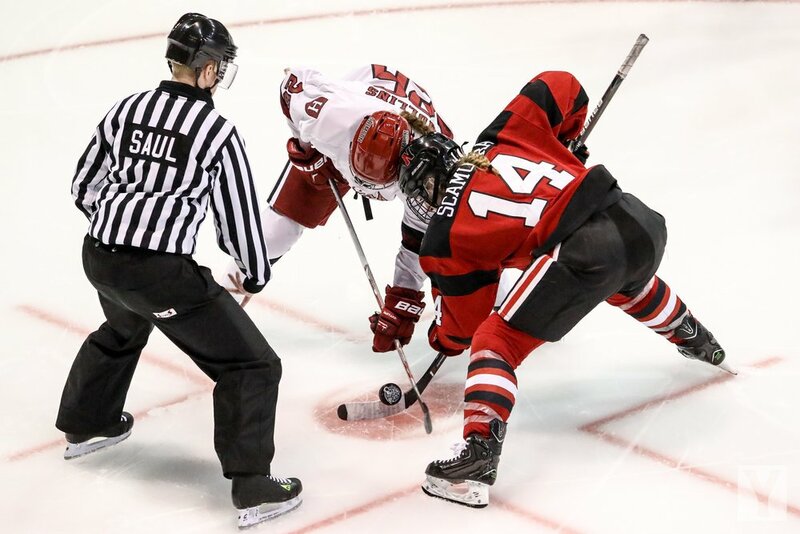 … and even those NHL stars will need to know how to fuel their bodies if they want to be the next Crosby or Poulin! P.S. 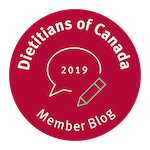 If you need some suppertime inspiration, check out Dietitian’s of Canada’s Cookspiration or my Blueprint Blog for ideas to help you get started.